Well, its not really all that much. But its been an adventure! 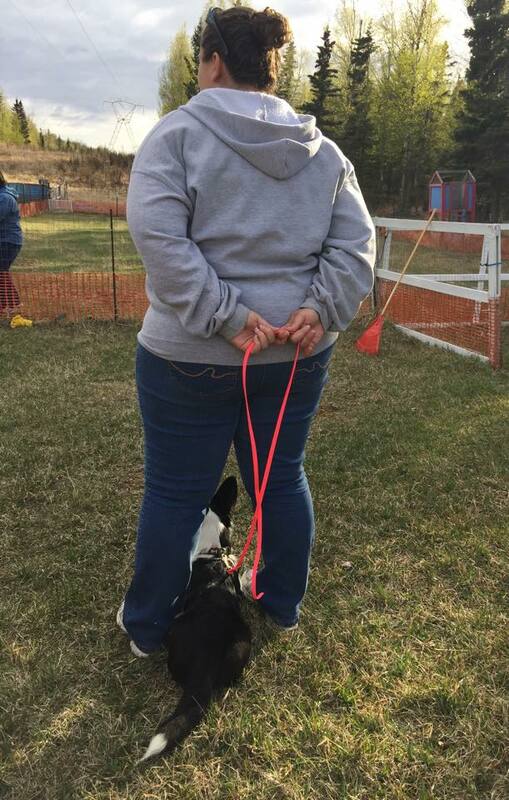 I really never saw myself as someone who would ever be excited about putting letters at the end of a dogs name – but I’ve been bit by the herding bug and its a lot of fun!! So in August, we went to our second trial as participants. I think I was more anxious and nervous at this trial! Needless to say, Gable did AWESOME on Saturday, qualified on his HT run, and pending AKC approval can now add the letters HT at the end of his registered name. So now he will be Ch Allegro Grandiose Frankly My Dear, HT. On Sunday, I was brave and moved him up to the next level – Pre-Trial Tested, or PT. I said at the beginning of summer that HT was my goal and anything beyond that would be gravy…..and Gable said he liked gravy a lot, because he had an amazing PT run and qualified for his first PT leg! PT requires 2 legs under 2 judges, so he needs one more leg under another judge to finish his PT title. There is another trial in a few weeks, so we will see if the herding gods will smile on us one more time at least to finish that up. I couldnt be more proud of Gable. We’ve learned a lot this summer. Makes me wonder what else Mr Handsome might be capable of accomplishing! 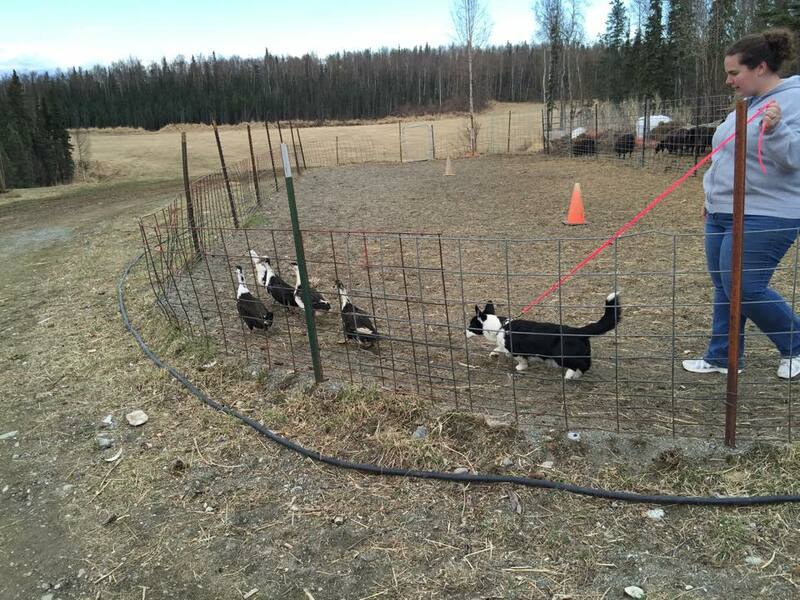 This spring has been an adventure – we starting taking herding classes with Gable and Gizmo. Gable herds sheep, while Gizmo much prefers the ducks! 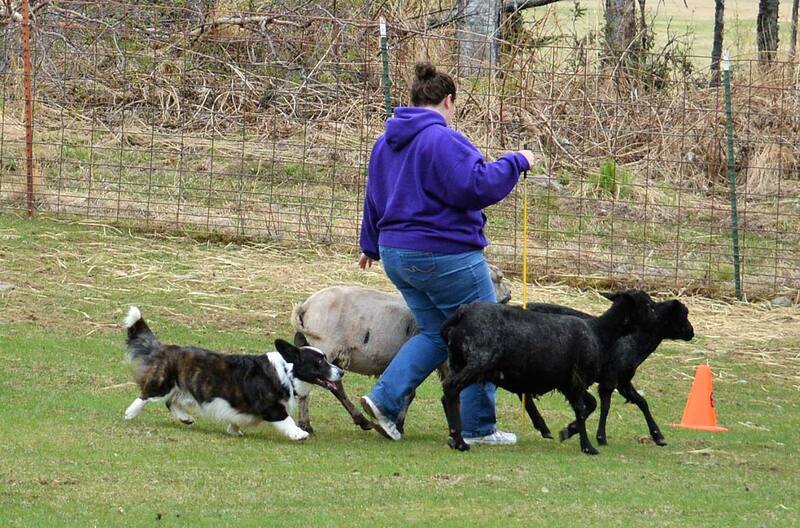 Our goal is for both of them to earn their Herding Tested titles this summer/fall….trying not to aspire any higher than that for the moment – herding is a workout both mentally and physically! Comments Off on Herding We Will Go….